I love how the most loved dessert perfect for all ages just keeps getting better and better as I grow old. 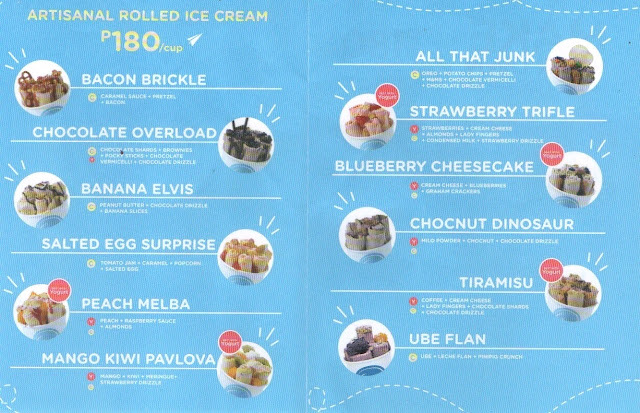 We are now more open to the many different kinds there are, from the Filipino sorbetes, to the Italian gelato, and now the rolled ice cream. 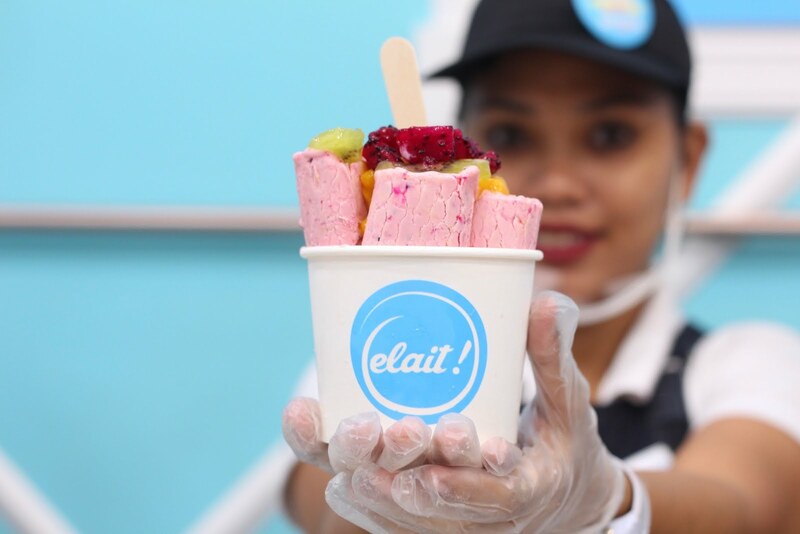 Elait is an artisanal rolled ice cream store owned by The Caravan Food Group. 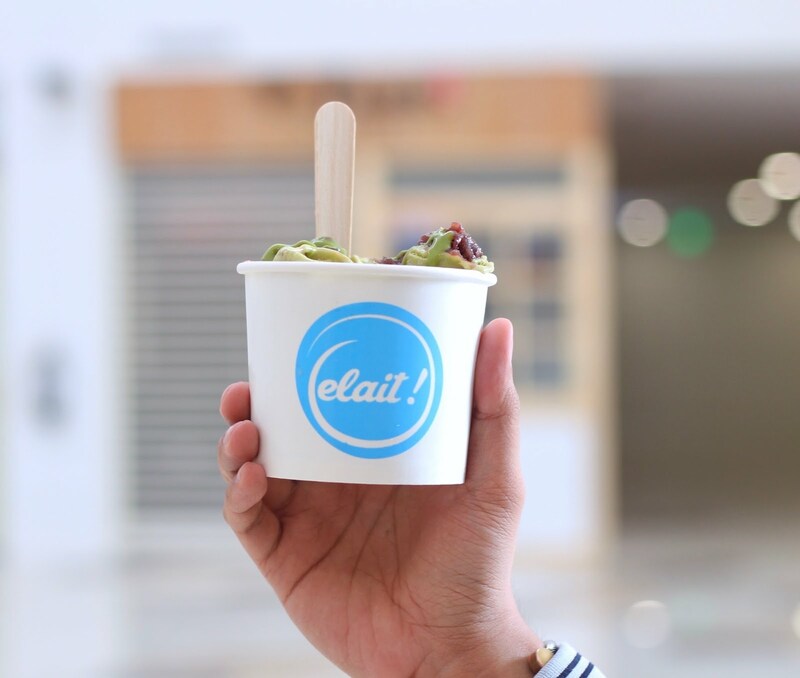 It's the sister of another sweet shop, Overdoughs, and shares a space with the latter in their new branch at Ayala Malls the 30th. 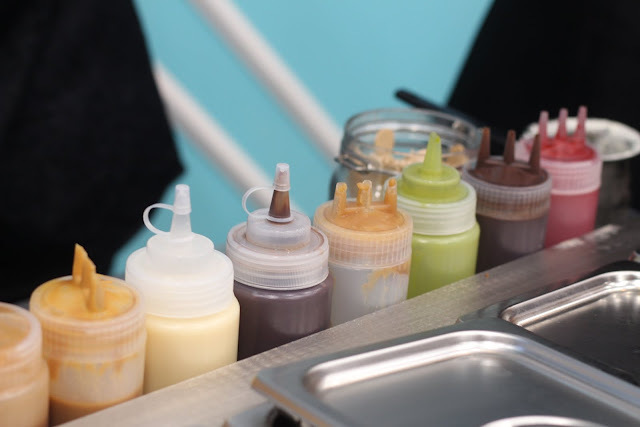 They offer a wide range of pre-combined flavors to choose from, plus a make-your-own option, wherein you get to chooose a base (custard or yogurt), 2 mixers, 2 toppings, and a drizzle. 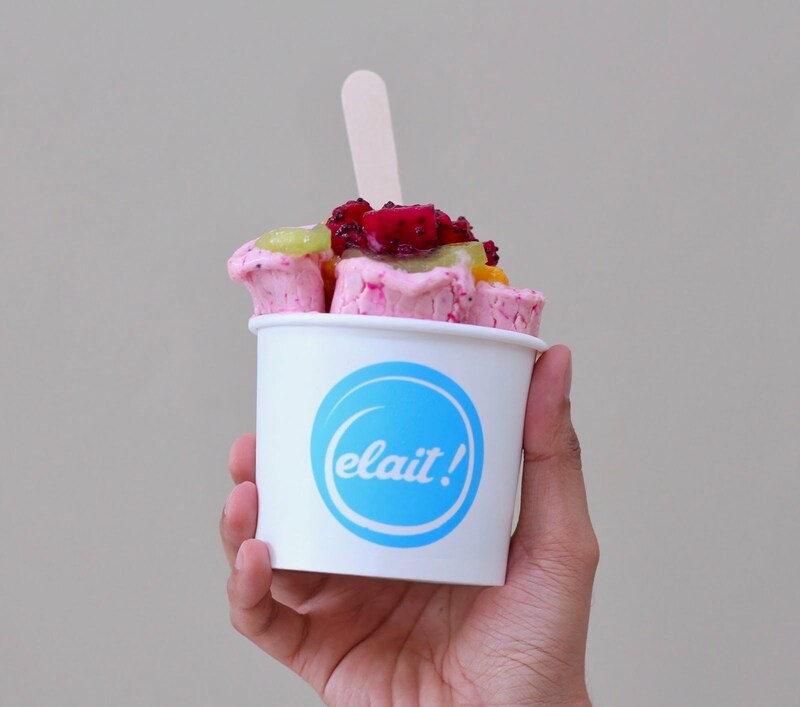 We were able to have a taste of their premium flavors: dragon pavlova and matcha red bean. The dragon pavlova is a combination of dragonfruit, mango, and kiwi. We chose yogurt as the base (as recommended), and the resulting product was delicious! It's both creamy and fruity without tasting too healthy or boring. It's a must try. 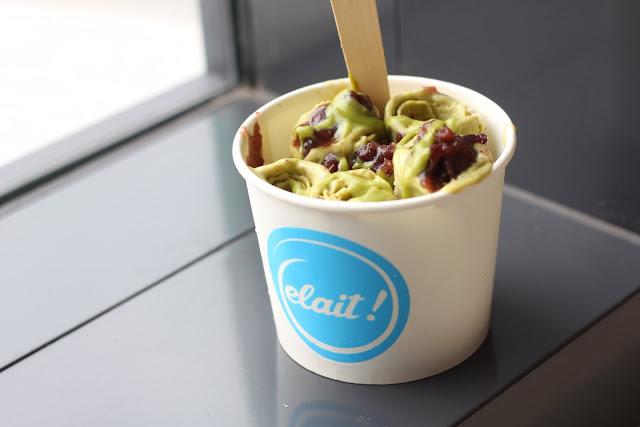 The matcha red bean is a mixture of matcha and red bean, which is a favorite duo of mine. We chose custard as the base for this (again, as recommended), and it tasted quite excellent as well. It didn't have a strong matcha flavor, but its taste will satisfy anything basic that you are looking for in a dessert. 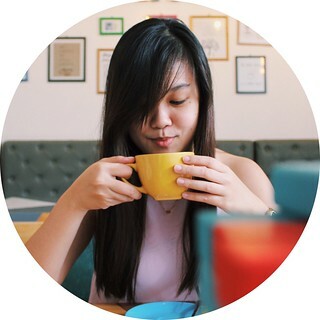 Each cup is also huge that it can be shared by two people (although any ice cream obsessed person can easily finish a serving hehe). What's amusing about this new ice cream trend, apart from it being a dessert, is its preparation, which is as cool as the ice cream itself. 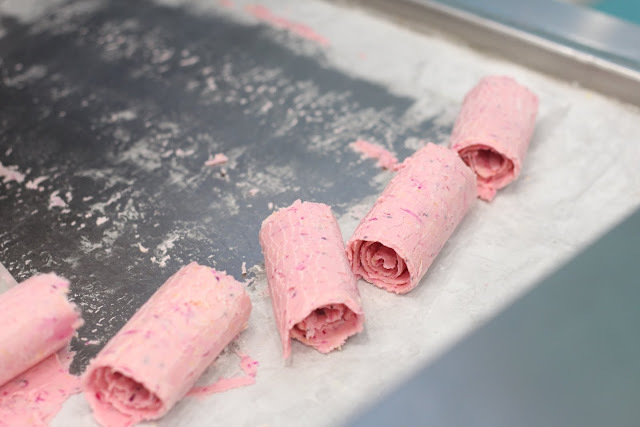 What they do is they pour our the base together with the mixers on their special table, quickly mix the ingredients until it is perfectly blended together, flattened and solidified, before scraping it out and shaped into rolls in doing so. All the magic happens right before your own eyes. It looks fun and easy, but not when you're on the other side of the table. It's a lot tiring and numbing, but everything is worth all the effort, so don't forget to thank your kuya/ ate. 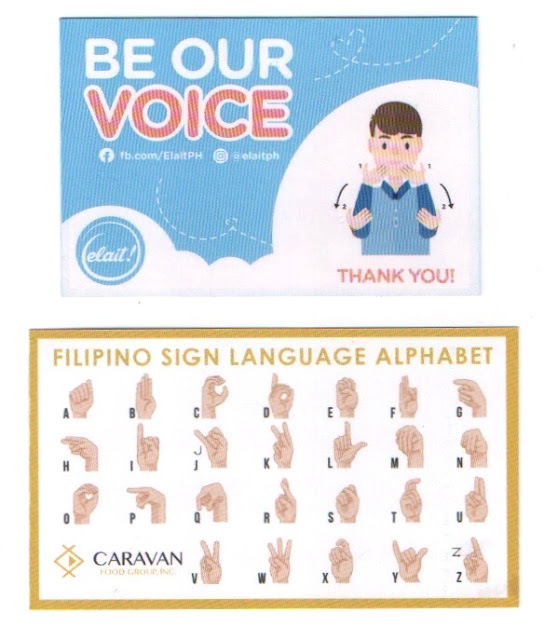 One more thing, Elait works with deaf staffs, so there are flyers and cards found around the store containing the basic sign language you can use to communicate with them. Not only do you get a dessert, but you also get to have a heart-warming experience. This is just the first of many many visits I know I would have at Elait. I'm looking forward to trying other exciting flavors from their menu (if not all).